Are you the ChalleNGe Program headquarters? No; the National Guard Youth Foundation (NGYF) is a separate organization. The foundation is a non-profit 501(c)(3) organization formed to advocate for the National Guard Youth ChalleNGe Program and to provide resources to its graduates. 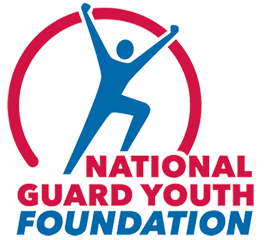 What does the National Guard Youth Foundation do? The National Guard Youth Foundation is a national nonprofit that supports all 39 ChalleNGe programs across the country. Our goal is to grow the ChalleNGe program so it can serve 20,000 youth every year who need the program. We also support the cadets once they graduate from the program with opportunities that assist them in transitioning into independent adulthood. 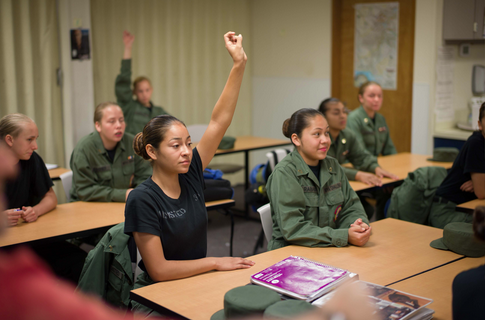 Which National Guard Youth ChalleNGe Programs accept out-of-state cadets? Some ChalleNGe programs will accept out-of-state cadets. Because the program is partially funded with state funds, it is up to that program to decide whether or not it can accept those who do not reside in the state. Please contact the program directly to find out. You can find contact information here. Who is eligible to attend a National Guard Youth ChalleNGe Academy? Students must be a high school dropout or expellee, and be between the ages of 16-18. The applicant must never have been convicted of a felony and have no legal action pending, free of illegal drugs at time of enrollment and physically and mentally able to complete the program. Does ChalleNGe accept cadets under the age of 16? may have a solution for students under the age of 16. Does ChalleNGe accept cadets over the age of 18? No, applicants must be at least 16 years old and no more than 18 years old (the applicant can turn 19 years old before graduation day). How can I contact my closest ChalleNGe program? Please visit the ChalleNGe Near You page to see contact information for all ChalleNGe programs. Can I make my child attend ChalleNGe? No. The National Guard Youth ChalleNGe Program is strictly a voluntary program. Your child must have a desire to attend. What is the academic focus of the National Guard Youth ChalleNGe Programs? This varies by ChalleNGe program and the partnerships and agreements that have been developed between the ChalleNGe program and the state. All programs offer the opportunity to earn a GED, high school diploma or credit recovery during the residential phase of the program. Will I earn a high school diploma at ChalleNGe? This depends on the ChalleNGe program you are applying to and whether they award high school diplomas, and how many credits you have when you enroll in the program. Some ChalleNGe programs only offer the opportunity to earn a GED, and some ChalleNGe programs offer credit recovery. Please check with your local ChalleNGe program. Can I get my GED/High School Equivalency Diploma while at ChalleNGe? Yes, but in order to earn a GED, the cadet must pass all the required GED tests and in order to earn a High School Equivalency Diploma, the cadet must pass the GED and the FCAT. Attending a ChalleNGe Academy does not guarantee that the cadet will earn either a GED or High School Equivalency Diploma. How much does ChalleNGe cost? There is no cost to attend the National Guard Youth Challenge Program. It is operated through a Cooperative Agreement between the National Guard Bureau and the program state. It is funded by Federal and State dollars. How does the ChalleNGe program operate? ChalleNGe is a residential program that incorporates a highly structured quasi-military format emphasizing self-discipline, personal responsibility, and positive motivation. Students, who are referred to as cadets while at the program, must meet military grooming standards, wear military-type uniforms issued by the program, and observe standard military customs and courtesies. Each class involves a 3-phase program that begins with a two-week Acclimation Phase where the goal is to identify those students that have the desire and discipline to complete the program. Students who successfully complete the Acclimation Phase enter the 20-week ChalleNGe phase where the emphasis is on the “Eight Core Component” curriculum. Cadets must show improvement in each component. After completing the Challenge phase, students begin a 52-week Post-Residential phase where each student works with an adult role model in a one-on-one mentoring relationship. The adult mentor provides the student advice, guidance, and support to help him/her continue the positive direction set forth during the residential phase of the program. There are no military obligations or expectations for the cadets. The National Guard Youth ChalleNGe Program is not a juvenile detention center; it is not a drug or alcohol treatment center; it is not a professional childcare service; and it is not a hospital, medical, or dental clinic. The National Guard Youth ChalleNGe Programs are approved institutions with credentialed teaching staff and trained professional support staff supporting the educational goals and priorities of the Governor and the citizens of each program state. Why isn’t there a program in my state? NGYF believes that every young man or woman who wants a second chance to succeed should have that opportunity. If you are interested in helping start a ChalleNGe program in your state, please contact us at 703-684-5437.